By the second day, dozens of ideas had emerged for possible collaborations and pilot projects. Attendees from both sides promised to meet those Nuns or Nones near them, to help support the growth of – and marvel at the potential scope and scale of – this new, already growing alliance, pledging also to invite more Sisters and Millennials everywhere to join in this radical, invitational conversation. We learned that future gatherings might have more immediate, actionable impact if we focused on specific geographic locations where relationships could continue. "We delight in the fact that we have so much in common, as each person becomes known and appreciated. We are mutually inspired in our close connection." "As we talked, the similarities between sisters, Nuns, and Nones, became so obvious. 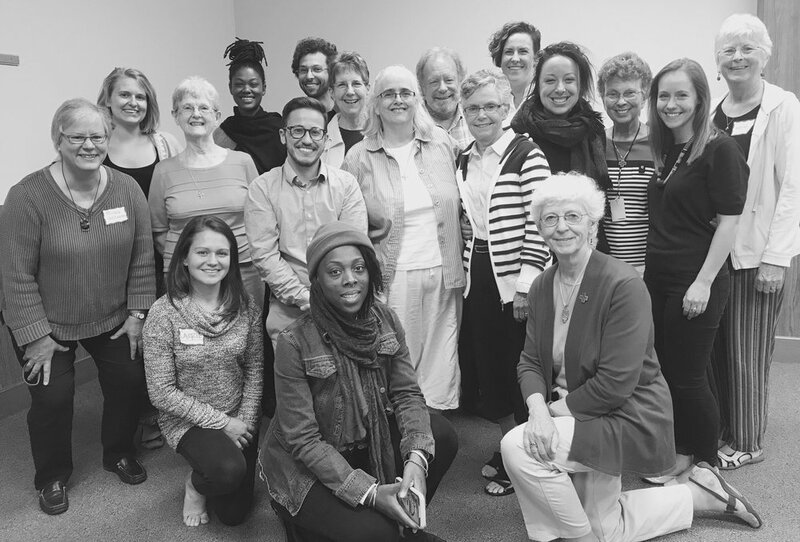 Both Nuns and Nones: are on the margins or fringes of our traditions; have a track record of challenging institutions in order to promote inclusion and justice; are seeking community that is open to questions and the continuous search for meaning." "Like the nuns, they had a big vision of the people of God, the call to serve, the need for regular spiritual practice, the call to hope when despair seems more appropriate." The time is ripe to continue these catalytic conversations. In April, 2018 we will have a “harvesting” gathering, with attendees from several previous gatherings, to capture what we learned, what we have already begun, and listen for what is yearning to happen next.